We’ve hit the middle of the week, so that means it’s time for day 6 of our 20 day giveaway celebration of AnandTech’s 20th anniversary. This morning we have some more video cards to give away, courtesy of Sapphire. Perhaps AMD’s closest board partner, the company has sent over one of each of their Nitro+ factory overclocked Radeon RX 580 card, and their slightly lower-key Pulse Radeon RX 580. The company has also sent over a bit of true swag, with a set of their steins. We have one each for the video card winners, and a 3 piece set for our third winner. 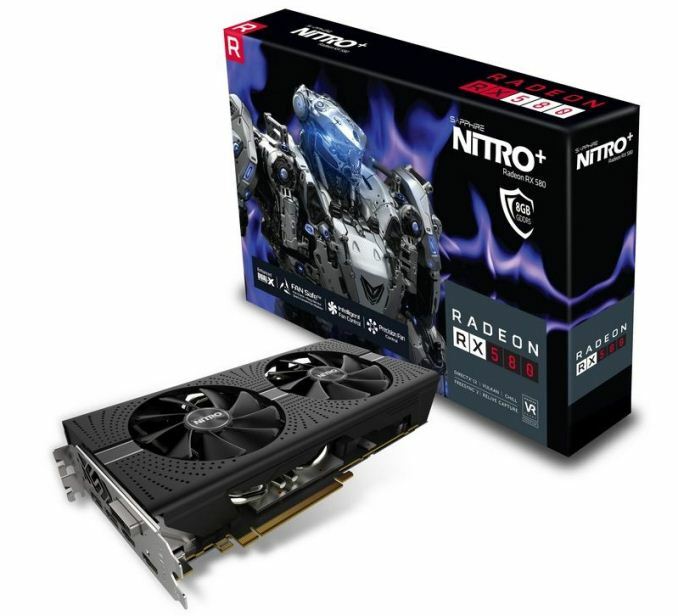 At the high-end of Sapphire’s Radeon RX 500 series lineup is the Nitro+ series, the company’s gaming-focused, factory overclocked cards. The Nitro+ RX 580 sports a factory overclock of 1411MHz, 71MHz over AMD’s reference clock. Internally, the card is built on a custom Sapphire PCB with significantly beefed up power delivery (and a 235W TDP to match), backed by Sapphire’s Black Diamond chokes. Cooling for the card is provided by one of Sapphire’s dual-fan Dual X coolers, which sports a set of rather sizable 95mm diameter fans. The fans also feature Sapphire’s Quick Connect feature, which allows them to be quickly connected and disconnected if necessary. 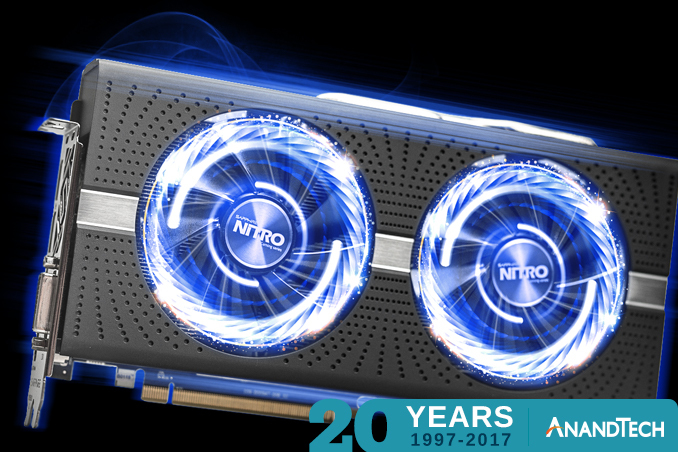 And for some added flair, the Nitro+ also features full RGB lighting built into the card’s shroud, which Sapphire advertises under the Nitro Glow 2 name. 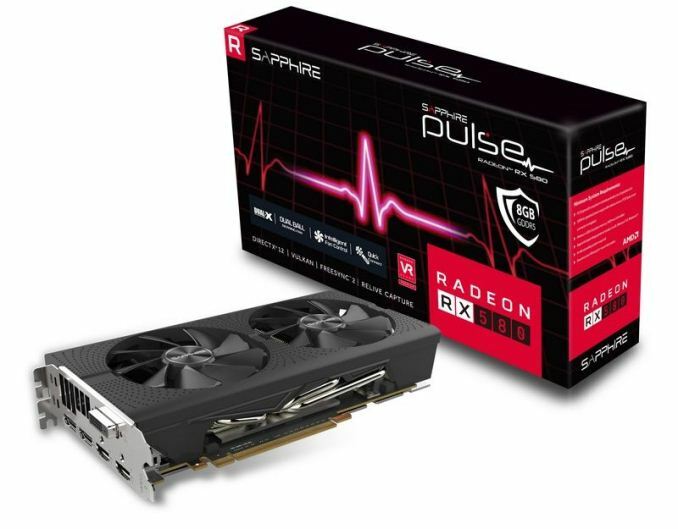 Meanwhile we also have Sapphire’s Pulse Radeon RX 580 card, the company’s entry-level RX 580 board. Like its bigger sibling, the Pulse is a dual-fan open air cooler type card, sporting a Dual X cooler with a pair of quick connect fans. The factory overclock on this card isn’t as aggressive as with the Nitro+, with Sapphire shipping the card at 1366MHz, 26MHz over the AMD reference. In turn, the card is a bit more compact as well, coming in at just 9.1-inches long. 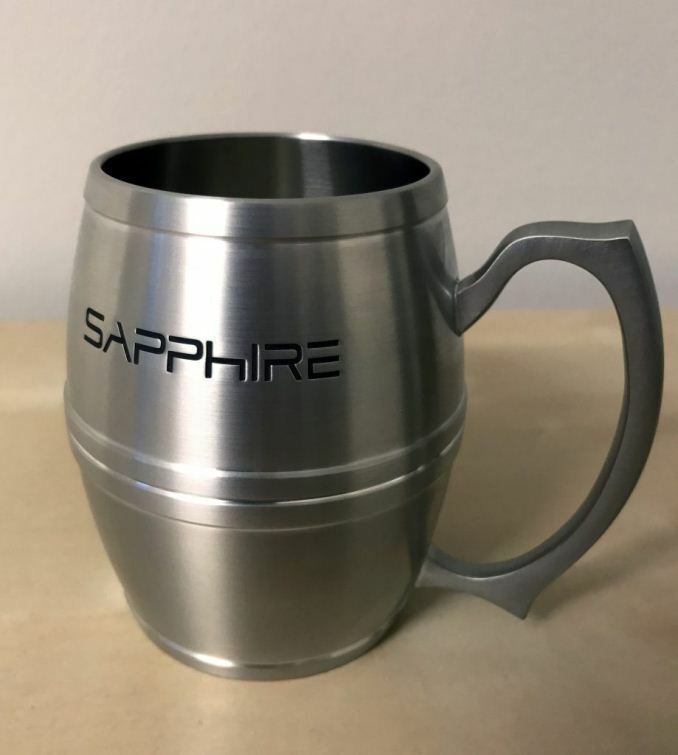 Last, we have Sapphire Steins for each video card winner, and another 3 for the 3rd place winner. Hoist your favorite drink in one while gaming, or use it to host company.